The Extreme Q Whip Kit for the Arizer Extreme Q 4.0 vaporizer includes everything you need to refresh your experience with the Extreme Q. If you have cleaned your whip over and over and just think it is time for a new one then this whip kit is exactly what you are looking for. 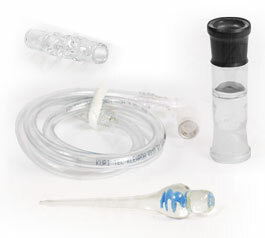 The food grade whip tubing and thick cut glass mouthpiece combine for one of the best whips offered on the market.